Betty Comden and Adolph Green were not just two of the most successful lyricists ever to work on Broadway, they were also two of the most successful screenwriters in Hollywood! In "Make Someone Happy! 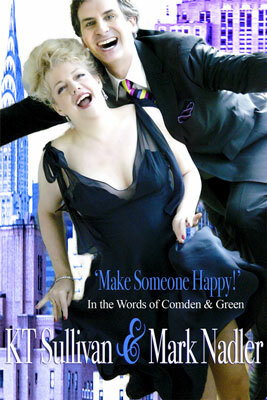 in the words of Comden and Green" Mark Nadler and KT Sullivan have created a mini-movie-musical using all songs from Comden and Green's Broadway hits such as On The Town, Wonderful Town and Bells Are Ringing and dialogue from such classic movie musicals as Singin' In The Rain and The Bandwagon. The music is by Leonard Bernstein, Jule Styne and Cy Coleman, but every word of this cabaret confection is by the Betty Comden and Adolph Green!